Having attended (and Co-Chaired twice) the annual Association of Coupon Professionals (ACP) conference for nearly fourteen years, I have seen many changes in the coupon industry and have seen my fair share of start-ups attend the ACP conference and then fade away. In 2003, my first year attending the annual conference, I remember some bold statements by digital companies on the future of coupons. The Free Standing Insert (FSI) was going to become extinct and digital would take over the world! Thirteen years later, the coupon industry is still waiting for this to happen. During the past three or so years, the digital players have undergone significant changes to adapt to the changing demands of both retailers and brands. Coupons, Inc., the leader in print-at-home coupons has changed its name to Quotient Technologies, Inc., and acquired Shopmium, a mobile receipt app with roots in Europe. Quotient also launched Retailer iQ, a personalized shopper app with real time analytics. According to their website, it is only available with Dollar General, Safeway and Walgreens. News America acquired Checkout 51, also a mobile receipt app. Catalina acquired Cellfire, a digital download provider app; and many companies are exploring how to marry purchase data to execute programmatic targeting or one to one targeting. Inmar acquired Hopster; Catalina entered into partnership with Savings.com; and Revtrax is now focusing on targeting offers for each shopper and measurement of those offers. The Kroger Co. acquired YOU Technology Brand Services, Inc. There are also new, revised apps for shoppers such as Flipp and Pirc, which marry up coupon incentives with ad features by store, to show you where to buy your item for the best savings. The Free Standing Insert continues to be the overwhelming vehicle of choice to deliver consumer incentives. According to Kantar Media, in 2015, there were 286 billion FSI coupons circulated with an average face value of $1.80. Also, a recent News America and GfK study reported, on average, “seventy-five percent of consumer packaged goods coupon redemptions, across all types, result in incremental sales”. Of the thirty-eight coupon vehicles available to manufacturers and as tracked by Inmar, the four with the most focus from brands is FSI and Digital. According to Inmar 2015 Industry Trends, FSI coupons accounted for 89.1% of all coupons distributed with an average redemption rate of .39%, down slightly vs. 2014. So, for every thousand coupons, thirty-nine of them are being used to purchase the product. And with a maximum distribution of nearly 70 million for an FSI, this can quickly add up to significant incremental sales. The volume generated and strong ROI’s vs. other delivery vehicles keep the CPG’s coming back. Digital, which has garnered significant attention and investment, still only accounts for 2.9% of all distributed coupons. The redemption rates are higher than the stalwart FSI, but in 2015 those redemption rates declined rather significantly. The implementation costs per coupon redeemed are higher as well. 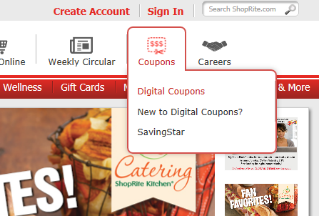 The Initial Promise of Digital Coupons? The promise of digital coupons was the quick ability to respond to competitive threats, the promise of incredible efficiencies of digital offers, the ability to target consumers, and on and on… In reality, digital offers can be developed and trigger a sale more quickly than FSI’s, but the rest of the benefits and value proposition is rather limited, depending on category and brand. Digital offers actually cost more on a cost per unit moved than FSI’s, and may not have scale to be able to cover the U.S. like an FSI. FSI Advertisement with Incentive vs. Thumbnail? Unlike the FSI that can easily convey a consumer benefit, the digital coupon fails in this key area. Part of the appeal of an FSI, is not only the ability to 1) create awareness, 2) reward loyal users, 3) attract new users, and 4) drive merchandising opportunities… FSI’s are a “creative canvas” that the brand uses to inform the consumer the unique benefit that the product fulfills. Great FSI creative copy is visually appealing and conveys the brand benefit with an incentive (to purchase!). The FSI paper coupon also acts as a reminder when in the store as it is tangible and readily available on the consumer. Contrarily, the digital coupon is a tiny thumbnail, with little room to convey anything on the image. The image of the product and just savings communication forces the consumer to make decisions based on savings vs. reason to buy vs. a different brand. And once it is downloaded to a card, good luck on trying to remember this when in the store! People are highly distracted and often preoccupied or in a rush and for these and other reasons, can’t depend on remembering their digital coupon, as opposed to a solid printed coupon in their pocket which is likely easier to find and use at the counter at the time of purchase! In short, the digital coupon has limited messaging unless a food product consumer likes the flexibility of using a print @ home coupon, at any store without feature price. Fraud is a constant issue with all coupons, but digital coupons lend themselves to consumer tampering. I just printed out a pet food coupon, which even printed in black & white and lends, itself, therefore, to being copied on a copy machine. There have been many advances within the digital arena, but fraud is still a concern. The CPG industry is a behemoth, and implementing and accommodating new digital technologies is slow. While the digital providers can move fast, they need to have brands to participate, and to a lesser extent, retailers on board as well depending on the application. Retailers, with the exception of the leaders in CPG are even slower than CPG manufacturers, and simply can’t move as fast and any change has a long lead-time, and can be very costly to implement for a retailer. Are Millenials going to Adopt to the Sunday FSI? The short answer is yes. Every Sunday, the newspaper is filled with inserts worth a lot of money, including the FSI inserts from SmartSource and RedPLUM, or P&G’s brandSAVER. It’s a Sunday ritual to look at the inserts and see the items on sale and to flip through the FSI inserts to see what’s new and if any coupons incentivize me to buy. The millennials with children are adapting to the paper and more and more understand the value and ease of the paper coupon, much like their parents and grandparents saw the value in the late 1970’s and early 1980’s when the Sunday FSI inserts were part of the family planning agenda for the trip to the supermarket. Stacking is when the consumer uses various coupons (manufacturers & retailer) from different vehicles to purchase a product for far less than what the manufacturer intended. The manufacturer has policies and rules on how each coupon can be used, but most of these rely on a checkout person to read the fine print and make sure that stacking doesn’t happen. This is likely easier said than done, especially with inexperienced check out persons. Imagine putting out an FSI, and having retailers also offer digital load to card incentives, and the instore price is already discounted with a feature, and most of the consumers would buy the product anyway, but a percentage are using all the incentives to get the product for pennies on the dollar. That costs the brand significant profitable revenue, but it is happening far more than you may think. The good news is that brands are being very careful with digital incentives, and learning that high face values on digital aren’t as critical to the consumer, and also learning that digital incentives can be more of a trade spend or TPR. There are many different views on the future of coupons depending who is telling the story. Yes, customization is the new frontier and excites anyone in the digital coupon space. The FSI is a relatively low cost vehicle with mass appeal, and a favorite of marketers for coupon vehicle. The FSI will be a critical part of the mix and be around for many years. Millenials will adapt to the FSI paper more than people think. Digital providers will most likely continue to consolidate to provide brands with a vehicle with scale and more efficiency’s. Retailers and manufacturers will continue to work together for mass customization by combining loyalty card data with many other data elements for high levels for one-to-one electronic marketing with coupons but the cost to value may be a challenge. And, the new digital direction for many digital coupon companies is to provide a complete end-to-end management system where brands can target on a one-to-one basis, allowing for complete customization to create a more solid “brand-relationship” with the user; with built in measurement tools. However, this will be the most expensive option, and brands will want to fully understand the benefit to cost value, and if this can bring in new users. Just remember to keep those favorite scissors handy, and those coupon apps up-to-date; you don’t want to miss a high value coupon on your favorite salad dressing! Andy "Dewey" Rumpelt has spent 25 years in CPG and is an expert on trade, consumer and media insights. Andy started his career at American Home Foods in field sales and then progressed to brand management on many brands in which trade promotion was a crucial aspect of marketing activities. Following AHF, and worked for ACNielsen. During the past 13 years, Andrew was a Vice President at Kantar Media/Marx, where he provided key insights on consumer FSI, digital, and advertising insights for some of the largest CPG companies in the country. Andrew is currently the owner of PRICE-TRAK. PRICE-TRAK provides specialized competitive cost and trade reports, and monitors 150 standard warehouse categories. PRICE-TRAK provides easy to use syndicated reports to monitor price changes and trade allowances. PRICE-TRAK also supports grocery wholesalers to assist with pricing and promotional allowance understanding to help ensure grocery wholesalers have the tools necessary to remain a viable channel.